We thank those that joined us on the 7th and 8th September in Bristol. You can view photos of the Conference here. The conference was aimed at all who have attended LLT training over the 10 years we have been in existance, but was also available to anyone who wanted to know more about LLT training and get a taster of the LLT experience. For those who attended the conference, there was a Conference Username and Password in your pack. Please ensure you have LOGGED IN (top right of site) with these details and then you will be able to view the programme below and click to download pdfs of the presentations and workshops. We have finalised the programme. To download a word version of the LLT Conference Programme 2013 Click here to download and view. The workshops include tasters of the LLT CPD programme as well as updated research evidence on foot and ankle exercises to reduce falls. The Keynotes include talks on Dementia, Fear of Falling, increasing adherence to your sessions and the forgotten PSI exercises from the original research. We hope you will enjoy the diverse nature of the workshops so that you can choose your interests. Once booked on you we will send you a form to choose your preferred workshops. Attendance certificates with 4 REPS CPD points per day. If you choose to pay via PayPal* your place on the conference will be reserved immediately on confirmation of receipt of funds. *PayPal account not needed, you can pay with your credit or debit card without creating or using a PayPal account if you prefer. However we would recommend that you do create a PayPal account as this is the safest way to pay online and you also benefit from PayPal’s payment protection. If you need to pay by invoice, please get in touch with the LLT office – your reservation will be confirmed as soon as full payment is made. Four LLT logo T-shirts and an LLT qualified logo T-shirt are now available to purchase online. The winners of the LLT T-shirt logo competition can be viewed on this page. A few of the designs and sizes will be available at the LLT conference if you want to view them first. The venue will be in Bristol – at The Engineer’s House. 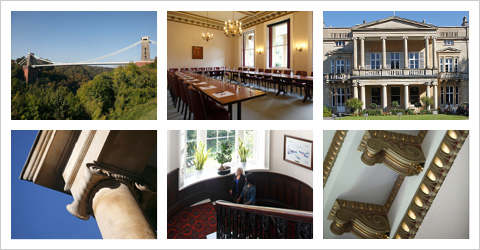 Engineers’ House is a Grade II listed conference centre in Clifton Down. The building has a 19th century elegance and charm and the picturesque grounds overlook Westbury Park. Whilst the venue itself is steeped in history, the IT and conference facilities are absolutely state-of-the-art. It is just three miles from Bristol Temple Meads Station and easily accessible from both the M4 and the M5. There is ample parking there as well. Accommodation can be found locally at a variety of prices. £63 – single bed, sole occupancy B&BThere is also a Premier Inn in the centre of town – its a 20 minute walk up to the downs from there (uphill) or a 5 min taxi. LLT are not able to arrange accommodation on your behalf, we know you will find the best accommodation for your purposes.